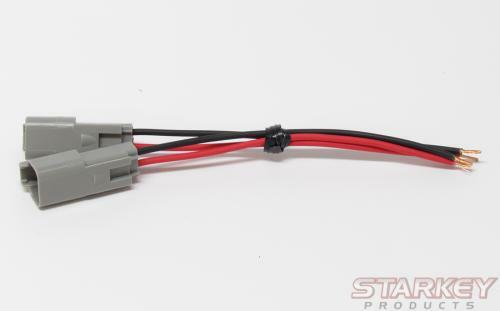 If you are using a brand of lamp with the Starkey 5051 Wiring & Switch Kit that does not have Deutsch connectors, these pigtails can be connected to the lamps to create a plug-n-play waterproof solution. Note: The Starkey 5051 Wiring & Switch Kitutilizes Deutsch DT Series 2-pin connectors. Some LED lamp manufacturers such as Rigid Industries use Deutsch connectors. Check your application to confirm that these are necessary. Another well built product from Starkey, it's obvious they take pride in their work. This kits comes with everything you need to add non-Rigid LEDs to their backup light harness.